If you’ve followed my “real life” at all, you’d know that I recently wrapped up directing the musical, The Little Mermaid, at the high school where I’ve been teaching for the past twelve years. 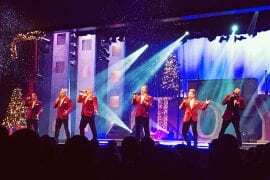 As any director knows, the show still isn’t over after closing night. The set must be taken apart and all of the items you’ve rented or borrowed need to be returned. One of the items we borrowed, a rowboat for the “Kiss the Girl” scene, needed to be returned to Lee’s Summit, Missouri. We opted to leave our youngest with Grandma and Grandpa for this road trip, and it was nice to have a day to ourselves. After we made the delivery on a cool, blustery Saturday morning, my husband and I decided we needed some lunch. 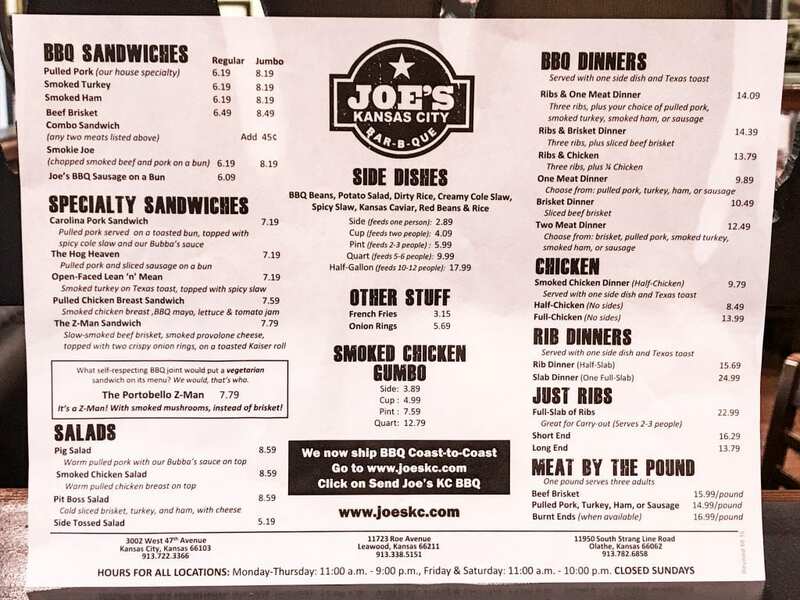 And that lunch should be Joe’s Kansas City Bar-B-Que. We had not eaten at this place since they’d changed their name from Oklahoma Joe’s. 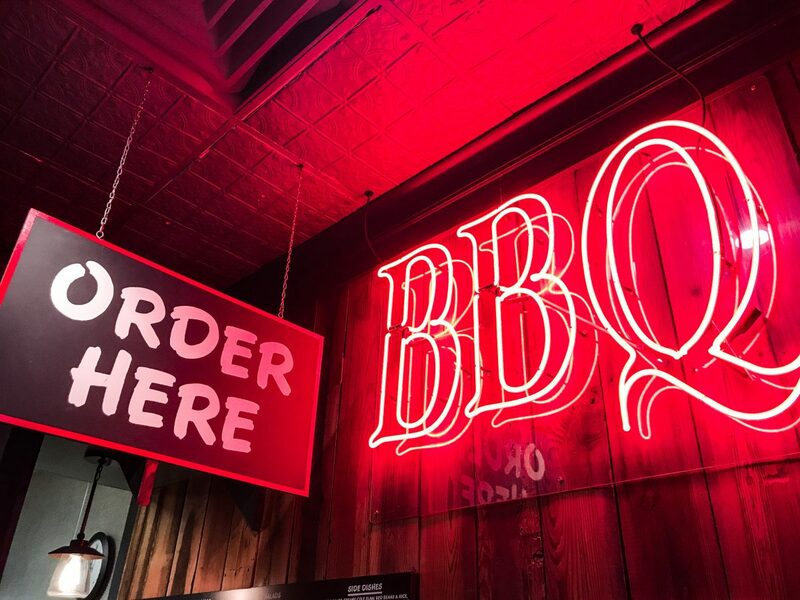 Originally, the owners were in a business partnership with a fellow BBQ expert from Oklahoma; this was the location for the first restaurant. 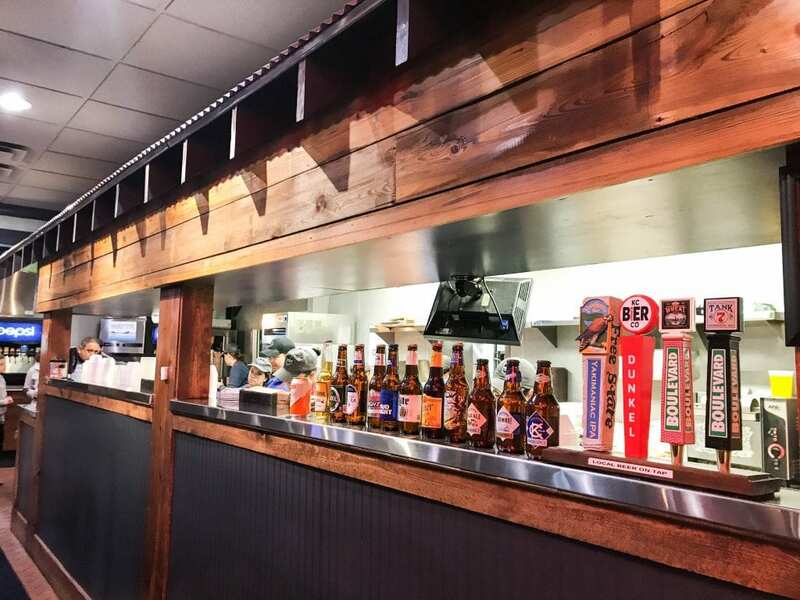 The current owners opened their first place in Kansas City, Kansas, in a gas station. In the 1990s, the partners went their separate ways, and the current owners changed the name. 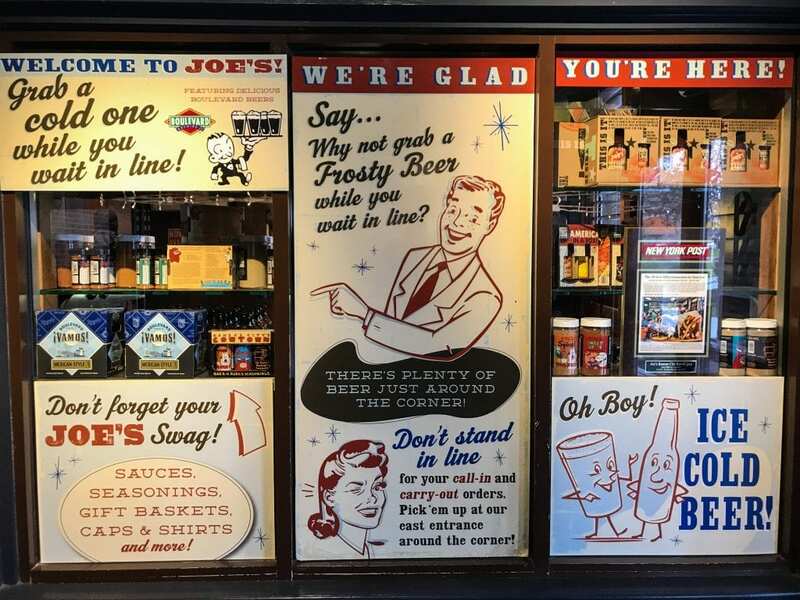 Currently, Joe’s has three locations in the KC metro area. 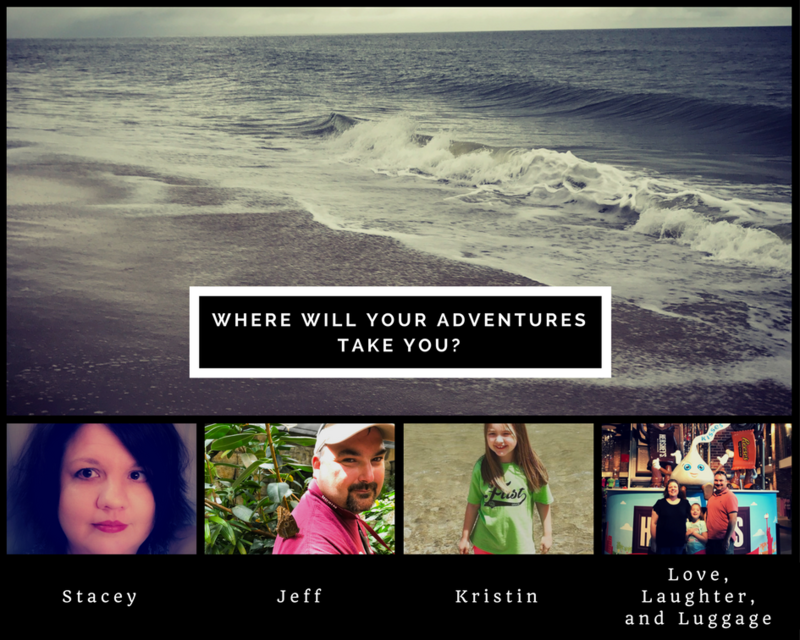 If you want to know more about their story, check out the website. Kansas City is one of those places known for amazing BBQ. Each year the largest BBQ competition in the United States, the American Royal Championship, hosts BBQ gurus from across the country. Kansas City is famous for a dry-rubbed meat with a tomato-based sauce, though this can range from spicy to sweet. In Kansas City, pitmasters smoke just about any kind of meat, but beef and pork are the mainstays. 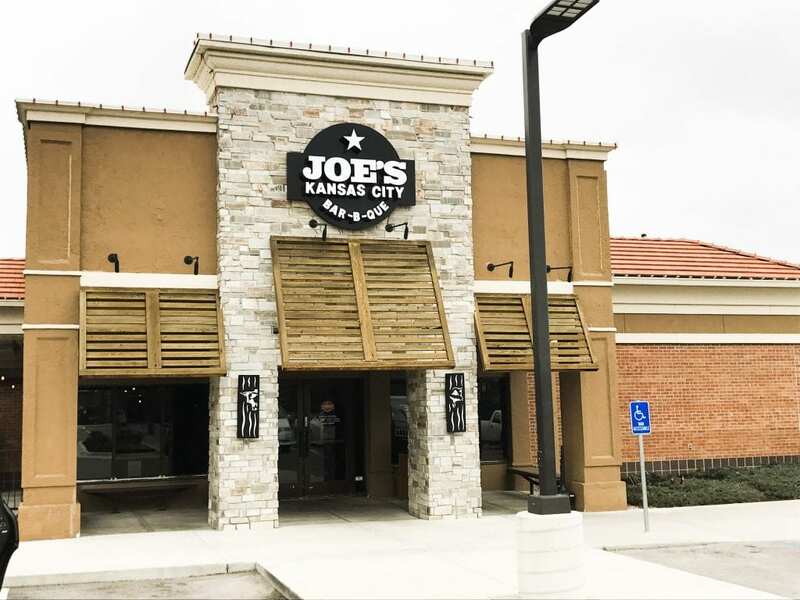 The metro area is the home of many famous BBQ restaurants, and Joe’s is certainly at the top of the list. On that cool, blustery day, we decided to check out the Leawood location since we were nearby. 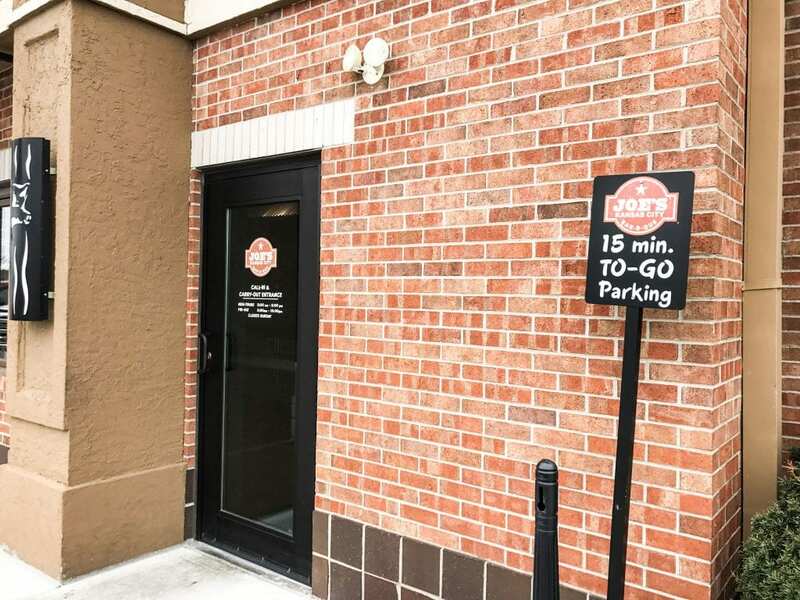 It’s conveniently located across from a shopping area that housed a Barnes and Noble. I may or may not have indulged in some of my favorite activities at the bookstore–touching covers, sniffing pages, and reading opening paragraphs. Someday I’ll write more about that. I’m sure everyone can’t wait. After killing some time waiting for Joe’s to open, it was finally time. At first, we were the only people there, but that soon changed. I was surprised by how many people showed up at opening, but Jeff reminded me of the long line we encountered for our last experience. So, here’s some advice. Get there early if you can; it will get busy. Once inside, the wonderful smells greet you as you get in line to place your order. 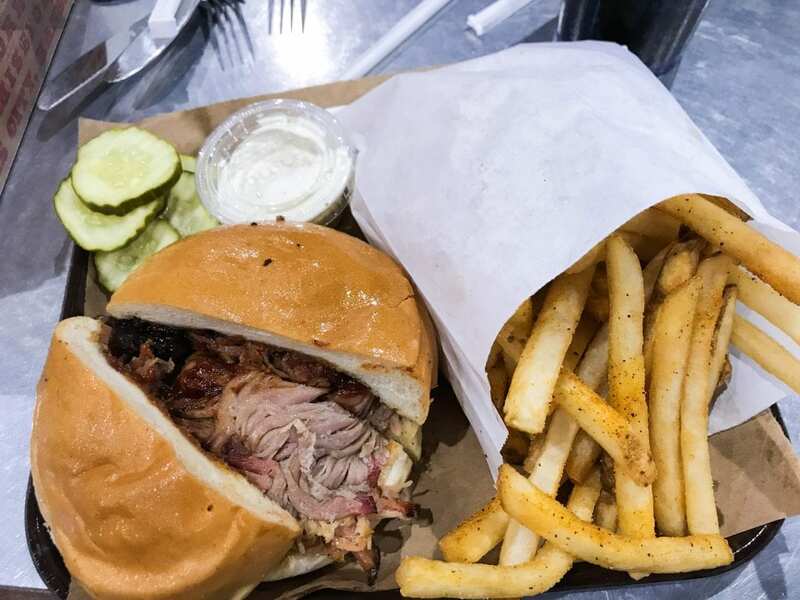 We glanced at the menu, but I already knew I’d be getting a pulled-pork sandwich and fries with Ranch, my favorite BBQ entree. Jeff was not as certain, but the burnt ends special had his attention. We placed our orders, and we walked down the line where the food was prepared. You can also check out the beer selection. At the other end of this line, you pay the cashier and grab your cups for your drinks. Soon, your plates will be ready. 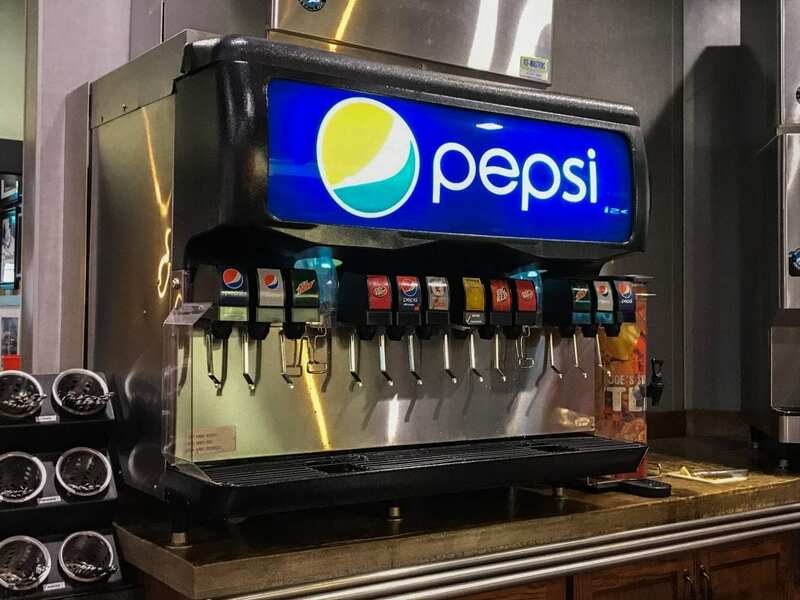 Also note that they have a wide variety of Pepsi products. Once you have your tray, you can seat yourself in the dining area. Don’t forget to grab the silverware! The decor is standard BBQ fare, but this wall is a nice tribute to the American Royal Championship. This is my pulled-pork sandwich. I moved the bun a little so you could see the meat. The fries are yummy, too. I love the seasoning. We actually bought some of the seasoning from the little gift area at the entrance. The seasoning goes perfectly with Ranch if that’s something you’re into. On your table, you’ll find the BBQ sauce. Some BBQ places have more options, but I thought the house sauce was perfect. Jeff’s burnt ends were delicious, too. I had to snag a bite. I couldn’t finish all of my fries. I wanted to, but I was stuffed. That is the only problem with eating here–you may have to roll out because you are so full. Here’s more of the cute decor; this is at the entrance. When we arrived, we were too intent on following our noses and eating BBQ that we missed some of the details. Don’t have time to eat inside? Or maybe more accurately, you can’t find a table inside? No worries! You can order through the take-out door. 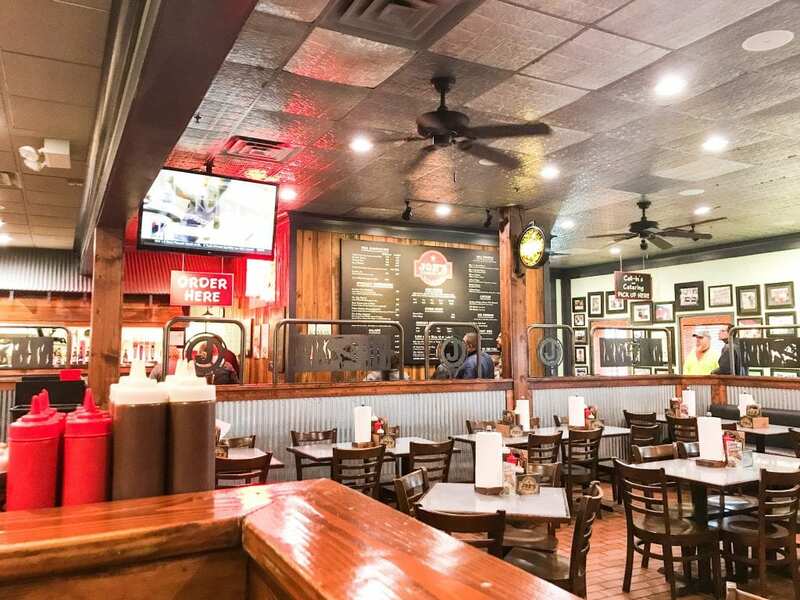 This is a wonderful place to try some Kansas City-style BBQ. We had great food, and the service was perfect. 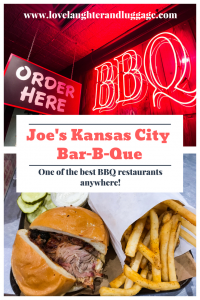 If you’re in the Kansas City area, you should definitely put Joe’s on your list of restaurants to try! This place sounds delicious! A good BBQ place is well worth the calories!! Yum! I absolutely agree! And this place is so yummy. I will never turn down an opportunity to eat here! It’s definitely that time of year that I’m craving BBQ and this looks delicious. I’ll have to see if we have anything like that here. It is that time of year, isn’t it? Good luck on your search! Yum! If we’re ever in Kansas I’m checking this place out! You definitely should. 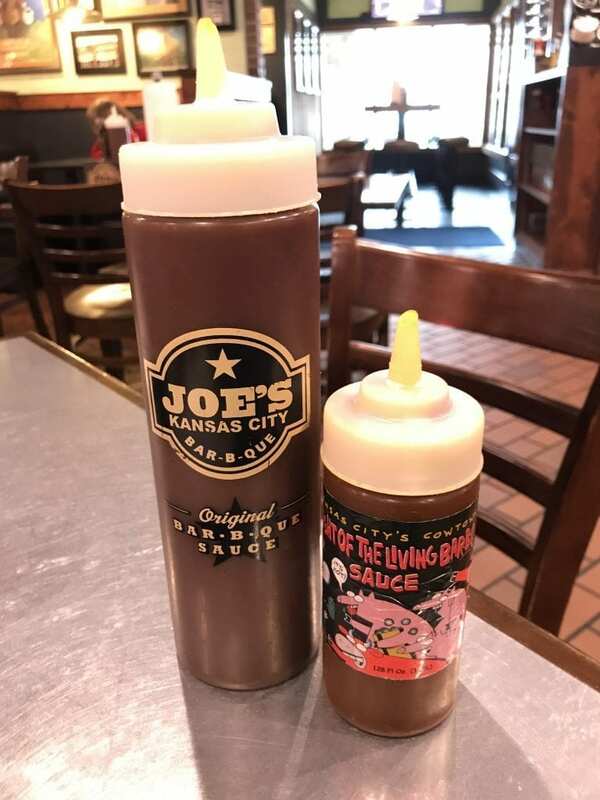 Kansas City is known for their great BBQ, and Joe’s is excellent! Too much food! That’s always a problem, isn’t it? But I will happily deal with that problem. It really is fun, and the food is delicious! I hope you can give it a try! It really fun place to eat in Kansas City. Gotta love some KC BBQ! I love good BBQ, especially brisket. YUM! 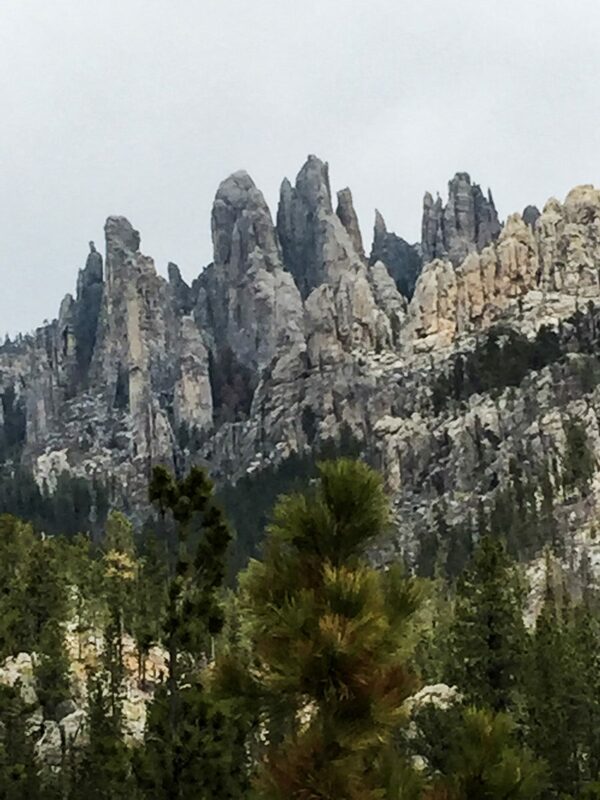 Your photos make it all look even better than it sounds. This place looks really great! I love all the old school signs everywhere! I love burnt ends! We go to Missouri to visit family and we get BBQ from a place our family goes to. Your place looks awesome! 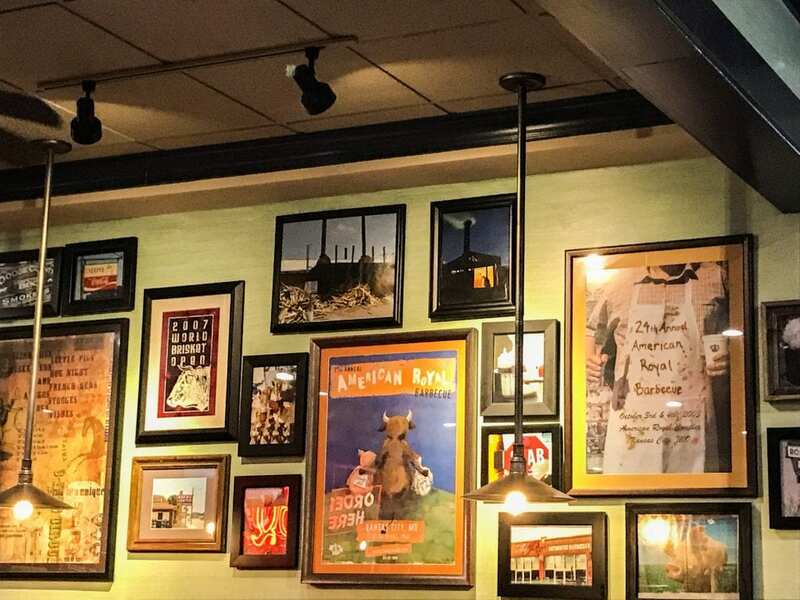 The decor in this restaurant looks just like a place in Indianapolis called City BBQ. I can smell it when I see your pictures. Wow congratulations on your production! I am glad you took advantage of the opportunity to squeeze in alone time with your husband! This looks delicious and like a fun atmosphere as well! Not really into bbq but it looks like a neat place! 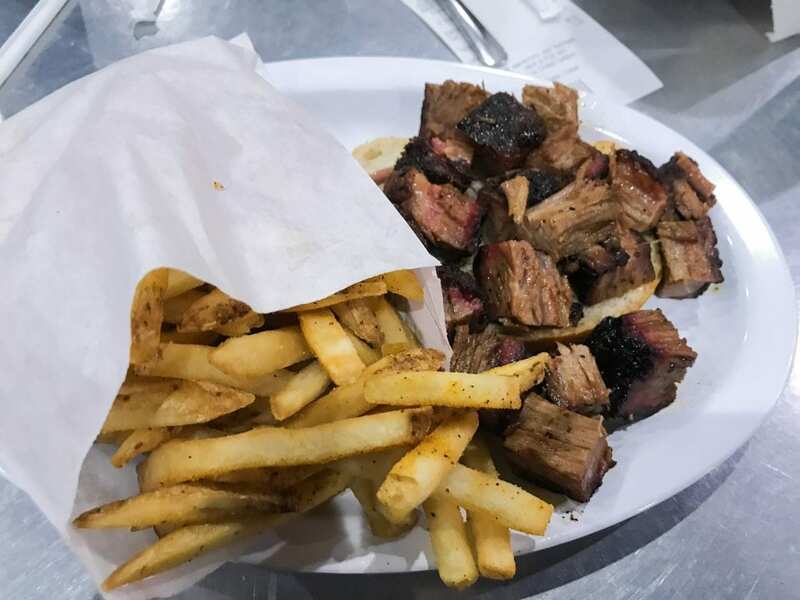 You had me at burnt ends! My husband is obsessed! The juicy bite sized steak is delicious! This looks fantastic! 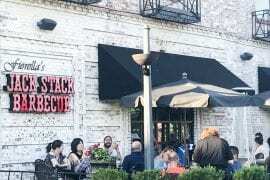 I love BBQ and will add this to my list for the next time I’m in the area! I am veg, so I saw this and I was like, eh BBQ, but there is a vegetarian option! I love that! I also love that you directed the Little Mermaid – how cool is that, I also bet it was a ton of work! It was a lot of work, but in the end, it’s worth it! That looks delicious. 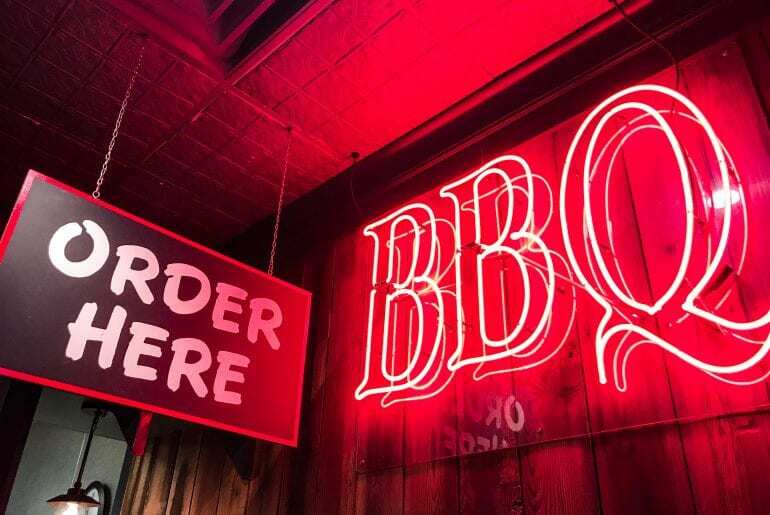 We always love finding a good BBQ place. We love BBQ and just smoked some chicken legs and ribs. It’s fun seeing the different style ribs and smoked foods and how they vary by state. I agree! We’re hoping to try some different BBQ when we pass through Memphis next week! My family is going to love it here! It all looks so fantastic. I love the atmosphere of the restaurant also. Looks like the perfect barbecue destination. It looks like this place has lots of character! I love when restaurants have fun things on the walls to look at. 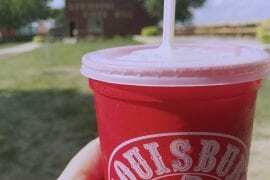 I miss “Okie Joe’s” so much! It’s been years since I have been, but I still remember it as the best BBQ I have ever had! Looking at your pictures makes me want to take a trip to KC. See, it’s the perfect excuse to go to KC!